The account management portal provided customers access to real time order status, tracking, and backorder information. 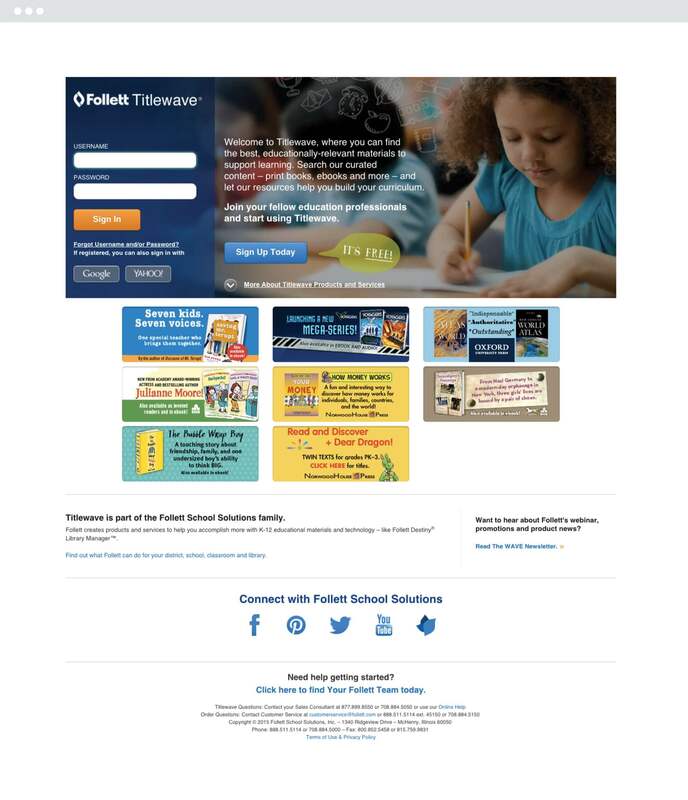 Follett is the nation’s largest supplier of books, reference guides, eBooks and audiovisual materials. 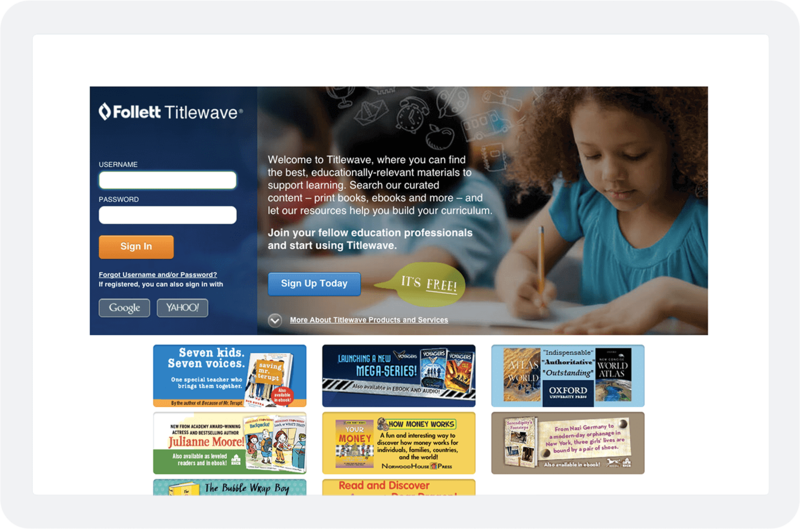 They approached us about updating Titlewave, their online ecommerce-driven ordering system. To accomplish the requested functionality, we managed several complex integrations. This included building services to communicate to their legacy mainframe.